We understand that your residential home is among your most valuable assets and sometimes we have customers who want to follow a DIY steel roofing model. In Ontario, that has never been easier. 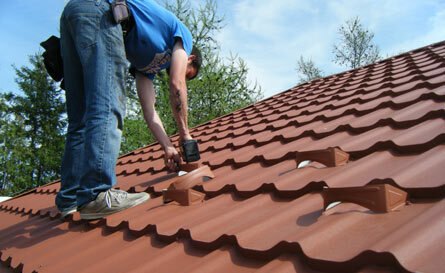 Do-it-yourself steel roofing is available for the everyday handyman utilizing our material. These smaller panels that are easy to transport and install are an excellent choice for smaller projects and others. We're well aware of how unrelenting the weather can be on a roof, which is why all of our do-it-yourself steel roofing products are tested and designed to the highest degree, ensuring that it can withstand even the most challenging of weather conditions. We offer DIY steel roofing in Toronto, Ottawa, and all over Ontario, giving access to materials that are built to last, ensuring that you never have to re-roof your property again. We provide steel panels, membrane and all the other required materials such as screws, ridge caps, flashing all in matching colours. Contact us or use "LOCATIONS" tab from the menu to find the showroom closest to your location and talk to a member of our staff who would be happy to help you with any questions you may have and provide cost of required material for your DIY project.